The official Harry Potter website finally debuted the seventh and final book to the timeline today, and with the arrival of Harry Potter and the Deathly Hallows comes a few new essays offering up some interesting facts about the Harry Potter universe from J.K. Rowling herself. We already shared the update Rowling offered on the subject of Albus Dumbledore and Rubeus Hagrid being a sort of combined father-figure to Harry (more on that here). Now here are a few more interesting facts Rowling revealed in the new essays. The new essays are titled "Vernon & Petunia," "The Sword of Gryffindor," "Alchemy," "Extension Charms," and "Hatstall." If you'd prefer to read them in full, head on over to Pottermore (you must be logged in) and work your way through the chapters in the Harry Potter and the Deathly Hallows portion of the timeline. In "Vernon & Petunia," JK Rowling confirms that not only did Petunia have "some latent feelings of guilt" over the way she cut Lily out of her life, but also that she secretly wished that she too would show signs of magic and get to go to Hogwarts. Rowling says these feelings are buried deep down inside Petunia, and she'd never admit them to her husband. The above stated, Rowling seems content with how she wrote Petunia's final scene, which takes place early on in Harry Potter and the Deathly Hallows. I wanted to suggest, in the final book, that something decent (a long-forgotten but dimly burning love of her sister, the realization that she might never see Lily's eyes again) almost struggled out of Aunt Petunia when she said goodbye to Harry for the last time, but that she is not able to admit to it, or show those long-buried feelings. 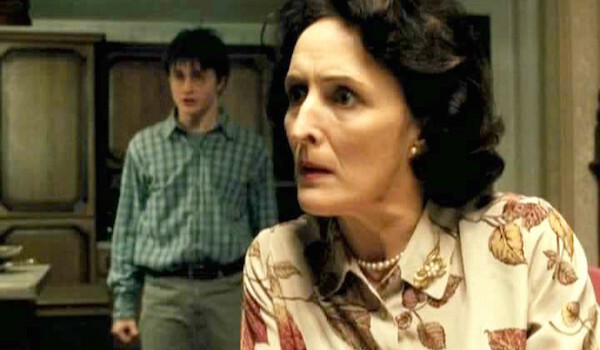 Rowling notes that some readers may have hoped for more from Aunt Petunia in this moment, but she was aiming to have the character "behave in a way that is most consistent with her thoughts and feelings throughout the previous seven books." For reference, in Deathly Hallows, as the Dursley's are making their exit, it seems like Petunia's going to leave without so much as a glance at Harry on her way out the door, but then she looks back, and Harry gets the impression she wants to say something. She gives him "an odd, tremulous look," seeming to "teeter on the edge of speech." And then she leaves. From what Rowling's new essay states, it sounds like that pause is the only glimpse of her "long-buried feelings" we'll ever get. It's fleeting and vague, but the hesitation does demonstrate that there is some feeling left in Petunia for her sister. 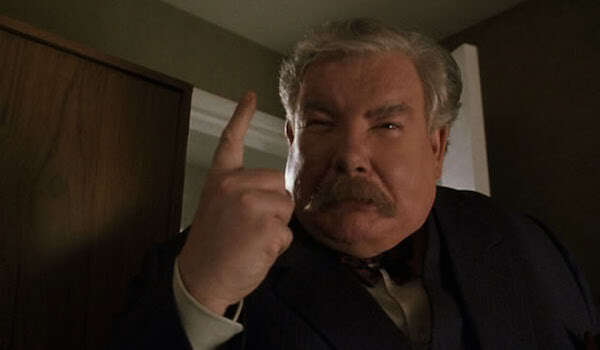 Uncle Vernon's dislike of Harry stems in part, like Severus Snape's, from Harry's close resemblance to the father they both so disliked. The words "in part" are likely meant to leave room for Vernon to despise Harry for other reasons. Possibly because he's a perceived burden on his family, and likely even more so because of his direct connection to the wizarding world. In the "Extension Charms" essay, JK Rowling discusses the rules for usage of the charm that allows witches and wizards to expand the interior of an object, as we see done in the Goblet of Fire in the tent the Weasley's used at the Quidditch World Cup. Or in the case of Harry Potter and the Deathly Hallows, the bag Hermione uses to keep books, Phineus Nigellus' portrait and other necessary items that needed to be transported with them on their search for Horcruxes. Rowling states that "capacity-enhancement is not for private use," by the Ministry of Magic's law. Both Mr. Weasley and Hermione Granger were acting unlawfully when they enhanced, respectively, the interior space of the Ford Anglia, and a small handbag. It's not like Hermione to break the law, but then again, she's proven willing to cross lines if there's good cause. An illegally capacity-enhanced purse probably would've been low on the Ministry of Magic's priority list if they'd managed to get Hermione into custody in Deathly Hallows. Rowling has confirmed that no charges were brought against Hermione after the defeat of Voldemort. 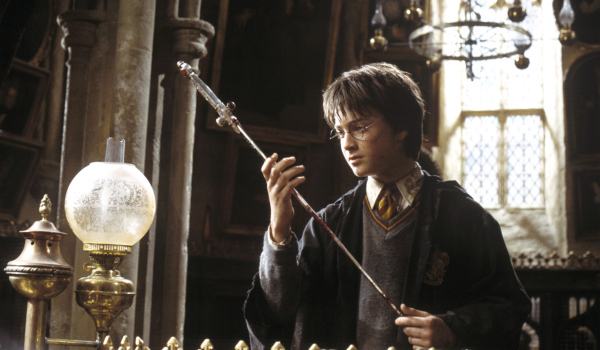 It was considered unsporting to use a wand against a Muggle sword (which is not to say it was never done). In the "Hatstall" essay, Rowling reveals that Minerva McGonagall was nearly placed in Ravenclaw, which shouldn't come as a surprise, as braininess is among her more obvious traits. The same could be said for Hermione, who was also considered by the Sorting Hat for Ravenclaw, though it doesn't sound like Hermione's situation was a true "Hatstall," by Rowling's definition of the word, as Hermione's sorting took less than five minutes. It took longer than that for the Sorting Hat to settle on putting McGonagall in Gryffindor, and aren't we all glad it did? Professor McGonagall went on to be the head of the Gryffindor house during Harry's time at Hogwarts. It's impossible to imagine anyone -- save, perhaps Dumbledore -- serving that role. 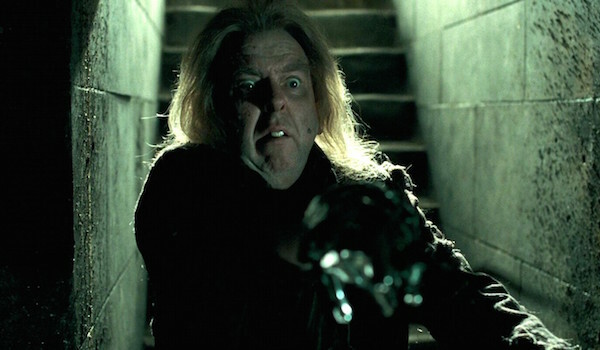 Another example of a Hatstall is Peter Pettigrew's sorting. The Gryffindor alum went on to betray his friends, so we might not be surprised to learn that the Hat strongly considered putting him in Slytherin during his sorting. Rowling says the stubborn hat still refuses to accept that it made the wrong call, "citing the manner in which Pettigrew died as (dubious) evidence." Personally, I think the Sorting Hat did Peter Pettigrew a big favor in sorting him into Gryffindor, as it gave him the opportunity to be a better, braver version of himself, and put him in the company of James, Remus and Sirius. Alas, Pettigrew squandered that opportunity, choosing power over loyalty, and paying for it in the end. In "Hatstall," JK. Rowling reveals that it was actually Neville's preference to be placed in Hufflepuff. In Neville's case, the Hat was determined to place him in Gryffindor: Neville, intimidated by that house's reputation for bravery, requested a placing in Hufflepuff. As we all know, the hat triumphed, and it all worked out for the best. 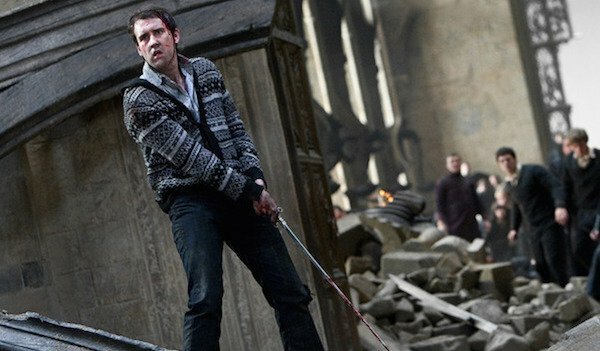 Neville Longbottom went on to demonstrate his bravery on more than one occasion, particularly in Deathly Hallows when he stood up to Voldemort and Nagini, and used the Sword of Gryffindor in what's easily one of the most epic moments of the whole series. Nice job Sorting Hat, for believing in Neville even before he was ready to believe in himself. So... Is That All She Wrote? There are more interesting facts and insights shared among the new essays, which you can view in their entirety over on Pottermore. The arrival of Deathly Hallows to Pottermore means that all seven books are presented on the site. Hopefully this doesn't mean the end to the essays Rowling occasionally shares, which fill in details about her vast and magical world. On the bright side, we know she's expanding that world, having penned the screenplay for the feature adaptation of Fantastic Beasts and Where To Find Them. And it looks like we're going to learn some information about the American wizarding school at some point during Newt Scamander's (Eddie Redmayne) anticipated journey to New York. Who knows what else will be revealed in the film? 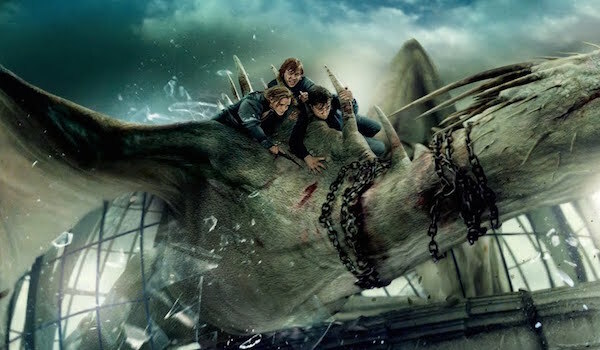 Fantastic Beasts and Where To Find Them is expected to hit theaters November 18, 2016. More information and news updates on the movie HERE.